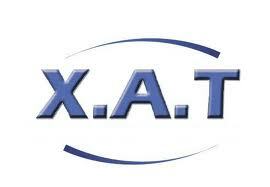 XAT Exam contains 3 Objective type Multiple Choice sections and an essay writing section. Verbal Reasoning section consists of Reading Comprehension, Vocabulary, jumbled sentences and grammar. Data Interpretation and Logical Reasoning section consists of single & two dimensional data problems. Caselets of DI were based on tables, line graph & pie chart. 4. General AwarenessTopics covered in GK are mostly from History, Geography, Science, Indian constitution, global business environment, major global events etc., mergers and acquisition, top business executives names who have been in news recently, advertisements Punch Lines, etc. The test is of multiple choice types which will be of 2 hours duration .Earlier there was essay test which was of 20 minutes duration. Now the same has been scrapped. The duration of the test is 120 minutes for the objective type section. The XAT is a two-hour duration paper, with number of questions being 200. The paper divided into 3 sections with sectional timings being enforced. Right Answer: 1 mark & Incorrect Answer: -1/3 mark. Note:- Patterns and Scoring pattern may change over course of the year.